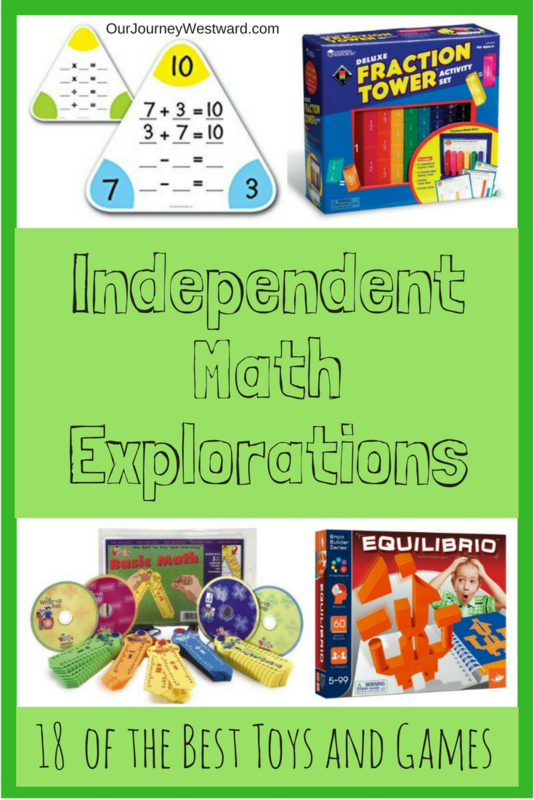 Incorporating math practice into your regular schedule doesn’t have to be hard with these independent math explorations. We all know that practice makes perfect, and that’s especially true when it comes to mathematics. 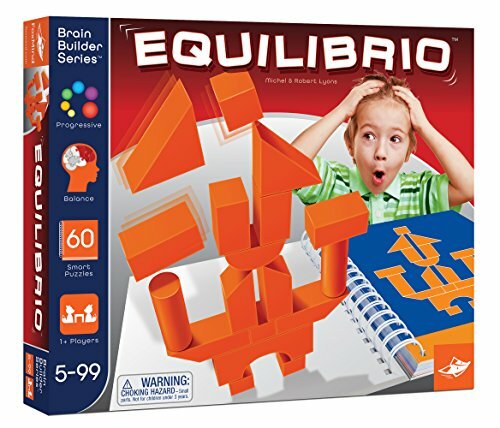 These games will give your children concrete tools they need to understand math concepts. And, they’re great to use for exploration and practice during those extra moments when children need to be educationally busy while you’re otherwise preoccupied. You’ll love how easy it is to work on number sense, operations, fractions, measurement, patterning, algebraic concepts, and even geometry! With so many fun and exciting ways to learn about math, elementary students will jump at the opportunity to give these activities a try. 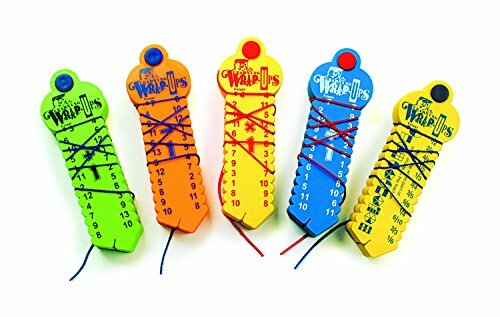 Take a break from the flash cards and give your children something to keep their math skills sharp while keeping their hands busy. This wrap-up kit has everything you need to get started. 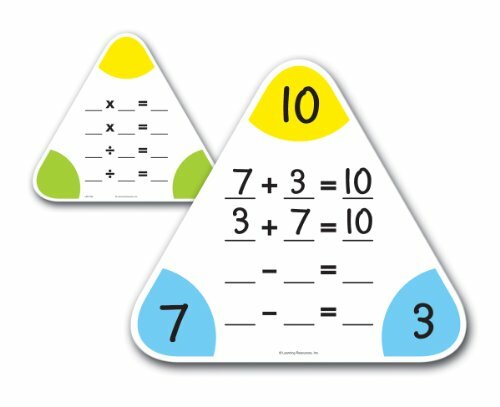 It comes complete with wraps to practice addition, subtraction, multiplication, and division. Each set is self-checking, so no need for your help at all. Yay! 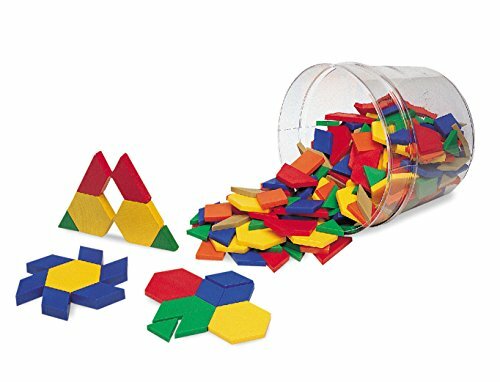 There are a bunch of different tangram sets to choose from. If you have children who are just starting out with tangrams, I suggest using this Melissa & Doug Tangram Set. It is colorful, easy to grasp, and comes with simple puzzles. 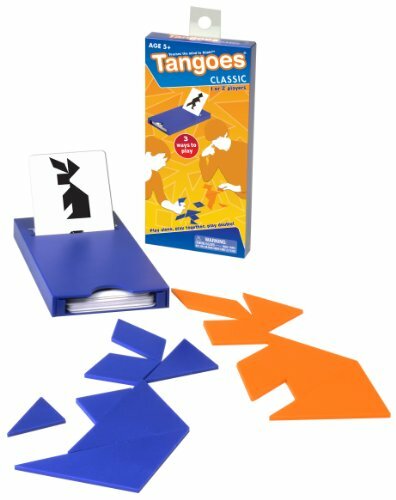 For older kiddos, try using this Magnetic Tangram Book, which has over 150 challenging puzzles. 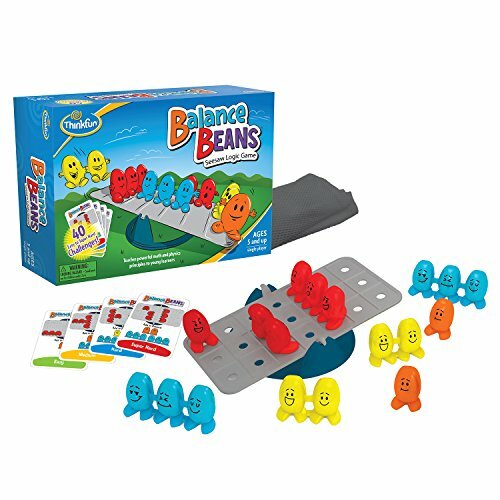 While using beans to balance the board in this game, your children are really balancing equations. This is the perfect introduction to algebraic thinking (and even physics.) My boys have loved the goofy little bean figures. Get hands-on experience with geometrical shapes by working through these 60 puzzles. Each puzzle has a varying level of difficulty, which makes it a great option for kids of all ages. Geometrically gifted children may enjoy a similar, but more spatial version, called Perspecto. Both of these games are challenging, but develop strong conceptual geometry thinking skills. 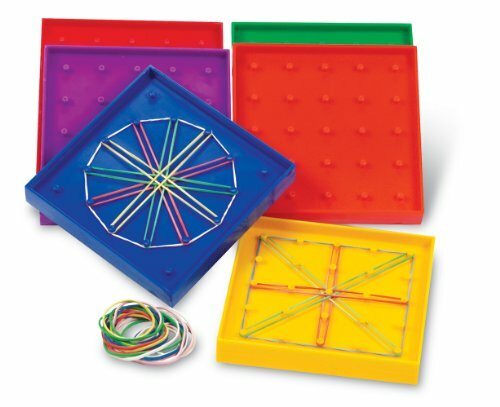 Pair a set of geoboards with some rubber bands and this set of Geo George Activity Cards and your children will be able to explore symmetry, calculate perimeters and areas, and even practice problem solving. Using a dry erase marker on this board helps children practice fact families. One side of the board practices addition/subtraction families, while the other side practices multiplication/division families. Equation symbols are already on the board, which serve as helpful reminders. To make the board truly independent, you’ll likely want to give your children addition/subtraction three corner cards and/or multiplication/division three corner cards. This geometric activity also encourages problem solving. 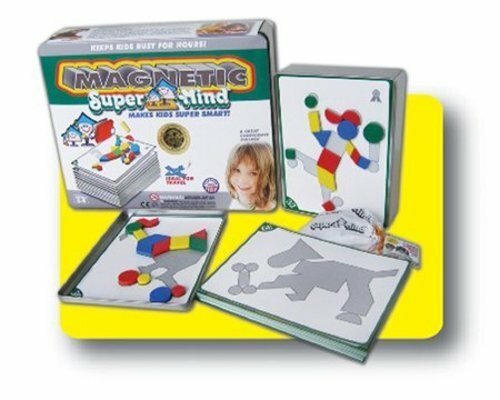 Children use magnets to solve puzzles in order to make animals, people, and other figures. If your children fall in love with this set, there are several others, including Magnetic Mighty Mind Zoo Adventure and MightyMind Aquarium Adventure. 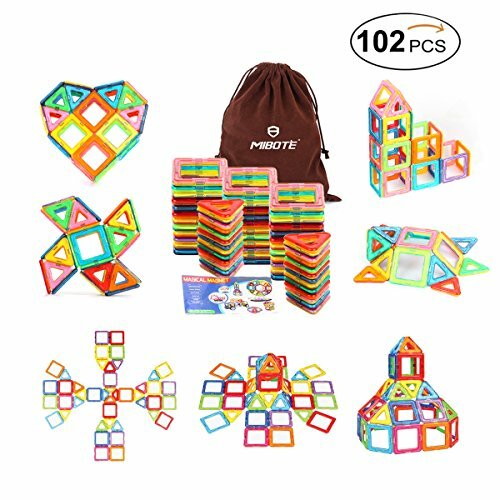 Not only do these magnetic blocks allow students to build whatever their little hearts desire, it also introduces them to geometry in a very fun way. I’ve found that by creating and exploring three-dimensional shapes through construction, my children have gathered a great amount of 3-D understanding without the need for a single formal lesson in the elementary years. Mathlink cubes are perfect for visual learners. They can help with things such as grouping, counting by multiples, patterning, and measurement. 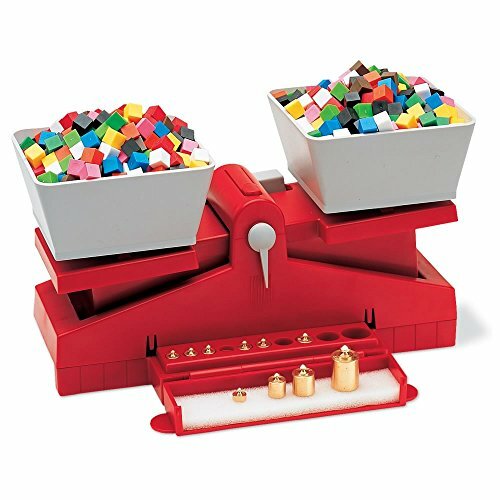 A set of 1000 centimeter cubes, is a great option if you to use alongside the larger mathlink cubes when working on concrete measurement comparisons. 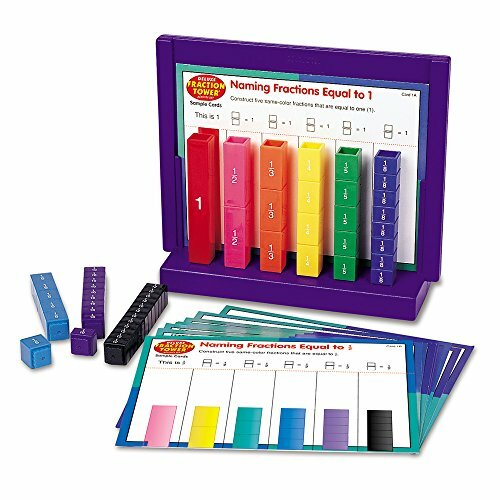 Get hands-on with these colorful equivalency cubes that can be used to teach fractions, percentages, and decimals. This set comes with a deck of cards that gives children the chance to practice and gain experience by solving the problems. “Seeing” fractions is such an important step in understanding an otherwise difficult concept in many cases. There are so many skills to be practiced with pattern blocks. My favorite uses are for practicing symmetry and understanding tessellations. A set of pattern block cards can help younger children learn the ropes, while these activity cards provide fun independent challenges for children who are a little older. Playing with a 100’s board can go a long way in helping children with number sense. 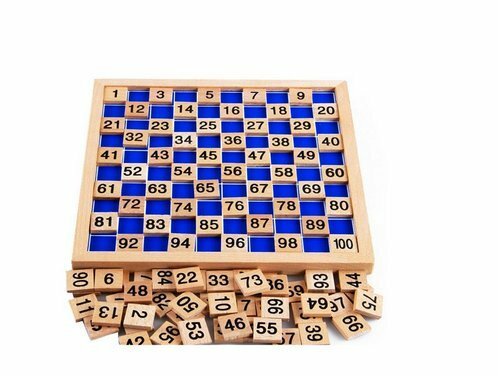 Besides practicing counting 1-100, a hundreds board can teach number patterns, skip counting, multiples, odds & evens, prime numbers, factors, fractions, decimals, percentages, and rounding. A hundreds board is a GREAT tool to have around the house. Playing with a balance scale gives a hands-on understanding of weights and measures and practices both mathematical and scientific skills. I especially love this particular balance for upper elementary students because it uses gram cubes and measures, which is an unusual unit of measurement for elementary students. If your children are younger, you will likely prefer a baby bear balance. There were many days when I handed my children this measuring set and let them play. Whether they were in the kiddie pool, bathtub, sand box, or used a tub of dry beans, just playing around with the various tools taught them so much about measurements and comparisons. 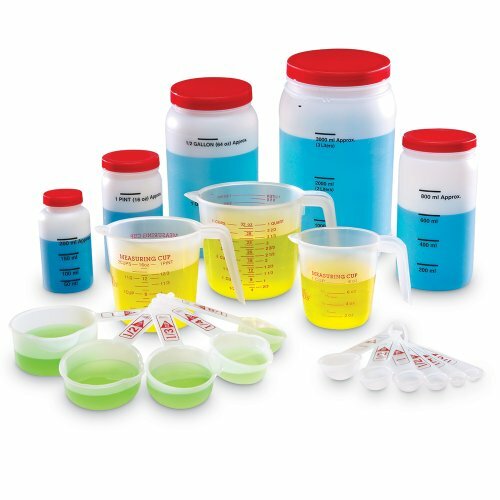 If you have a little extra money to spend, the liter measuring set is nice, too. 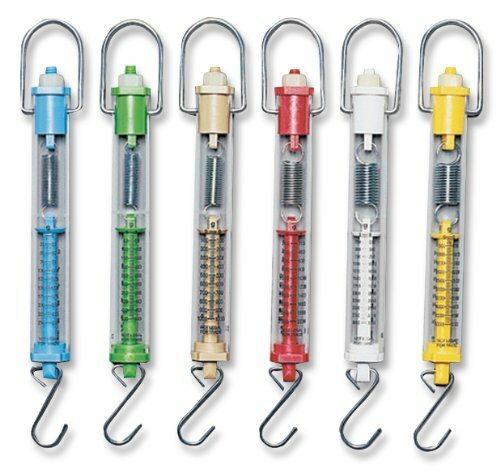 Spring scales are often associated with science, but they’re a fun math tool, too. Children can easily measure the weight of objects around the house by simply “hooking” the objects and reading the measurements as the objects are lifted or pulled. There is a higher level understanding of the measurements when used for scientific purposes, but my younger children have always enjoyed the simple explorations. 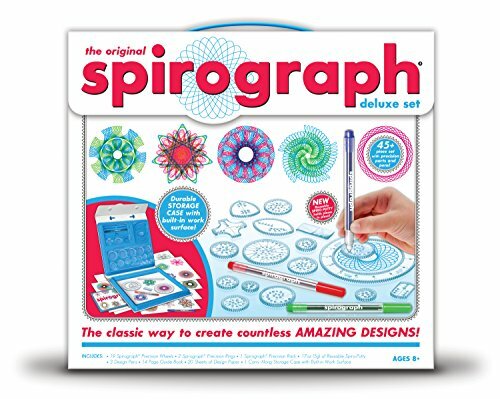 The Spirograph has made me happy since I was a little girl. It has the unique ability to combine math and art with almost endless creative possibilities. Children gain experiences with geometry and patterning without ever suspecting that math might be involved in such a fun activity. 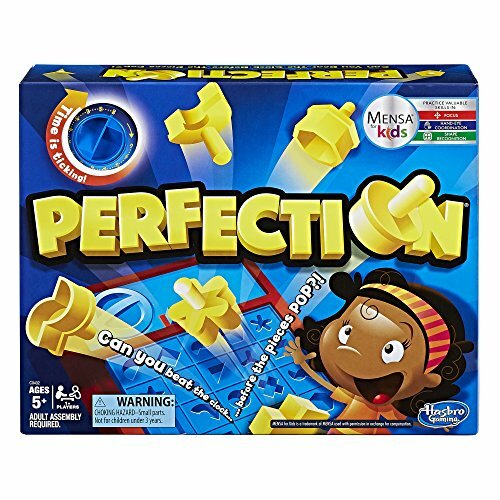 Perfection combines a little geometry with the brain training skills of working memory, visual attention, and visual processing. The game is a little loud, but kids love it. 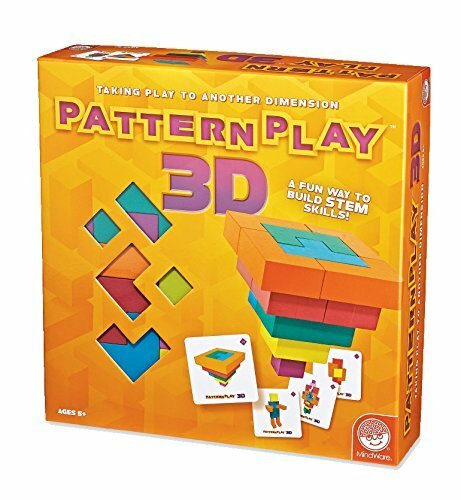 Pattern Play 3-D is a construction game that combines geometrical thinking with logic thinking. It comes with 40 sculpture cards that require children to view 2-D images then recreate them as 3-D sculptures. The puzzles are more challenging than you might think! 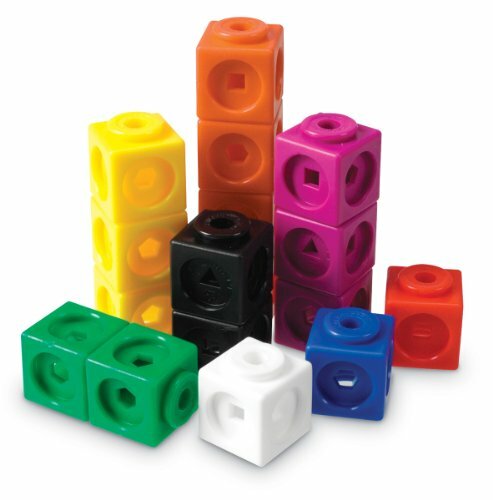 Aren’t these perfect for math explorations and skills practice? Who knew that independent math could ever be so easy to add to your day?! Do you have any favorite independent math games to add to the list?